From our list of services, you can see that we provide an all inclusive care of Landscape Design, Contractor Service and Maintenance. In other words, we can take care of everything from Design & Installation to Maintenance. 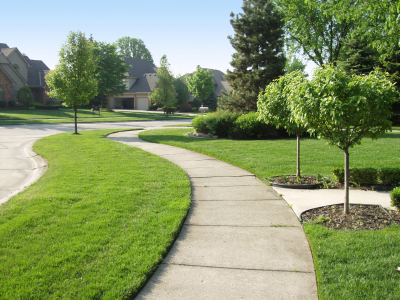 Our landscape maintenance service for commercial properties ranges from municipalities, multi-family neighborhoods, to well-known commercial franchises and service businesses. To insure our customers of the best service, we provide our clients with quality communications and the excellent service that is expected by corporate and municipal clients.